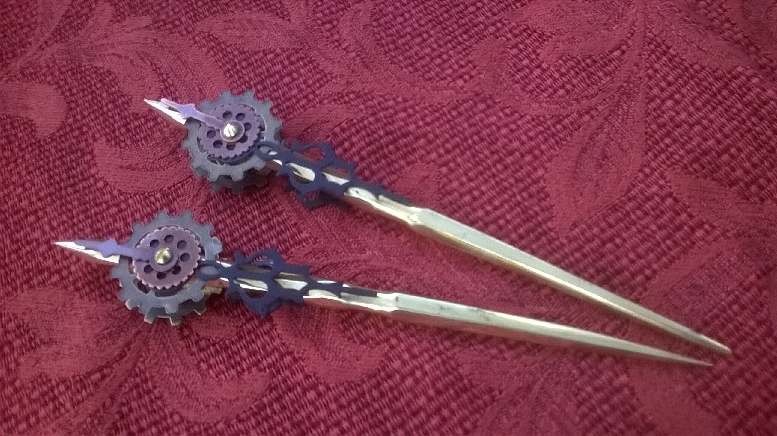 hair sticks brass with gears and hands Item #HS3 $50. 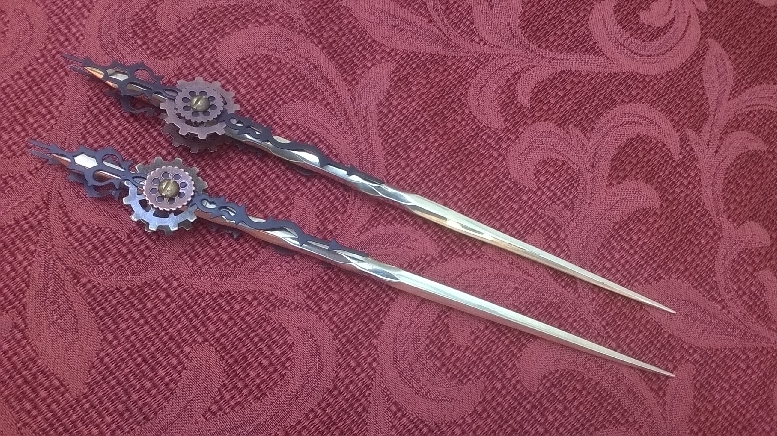 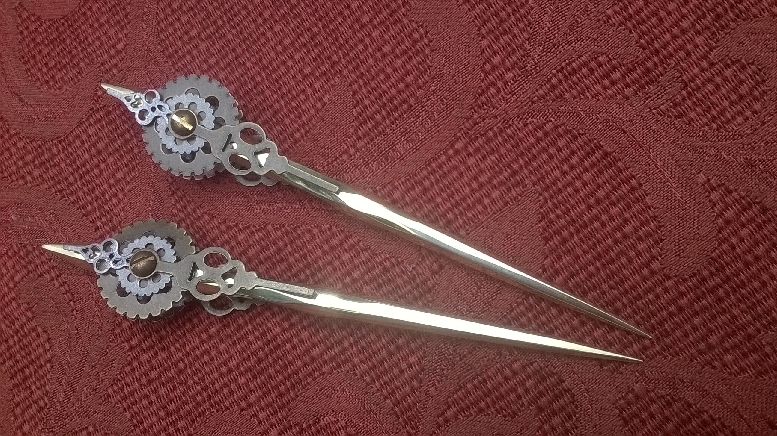 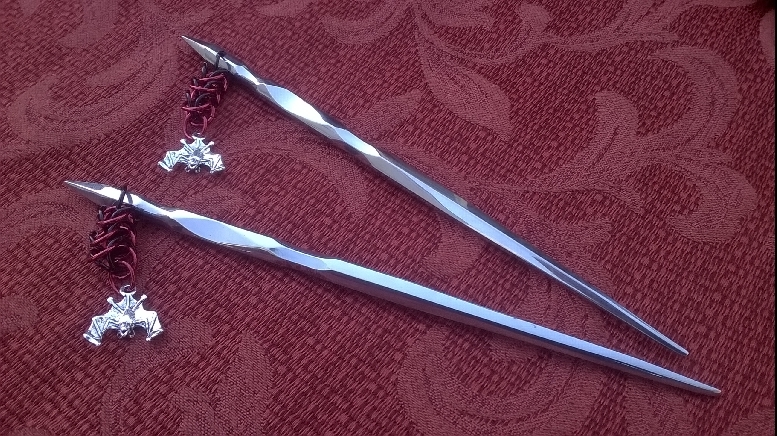 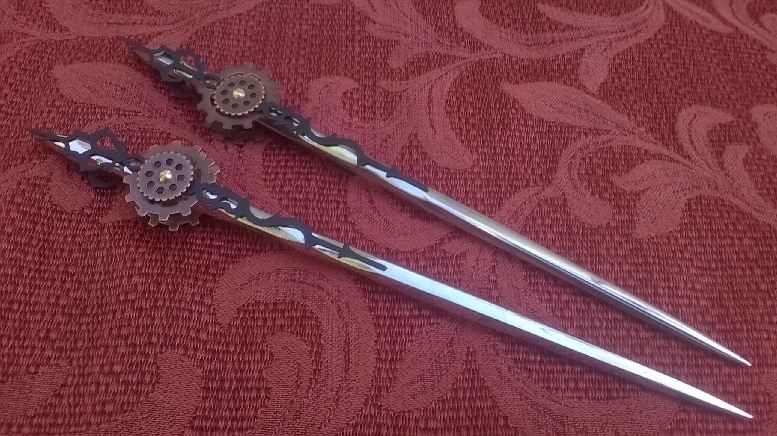 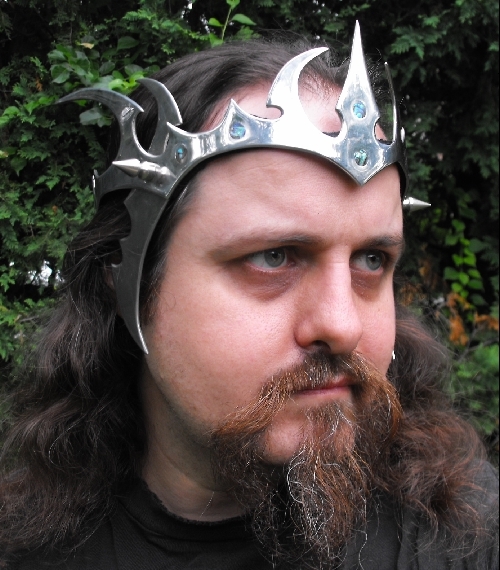 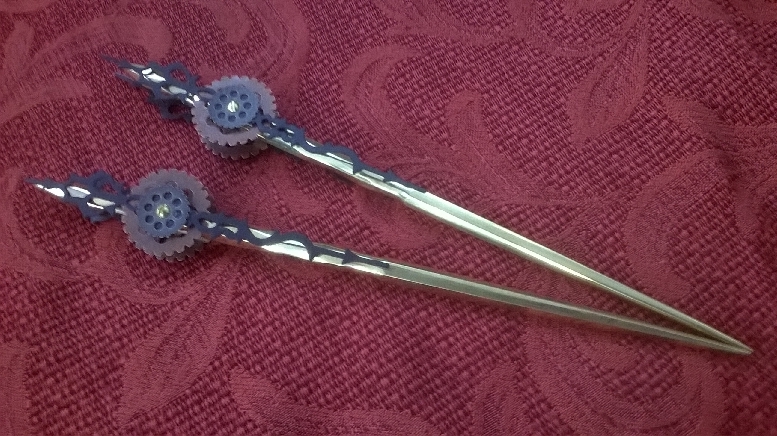 stainless steel hair sticks with gears and hands Item #HS5 $50. 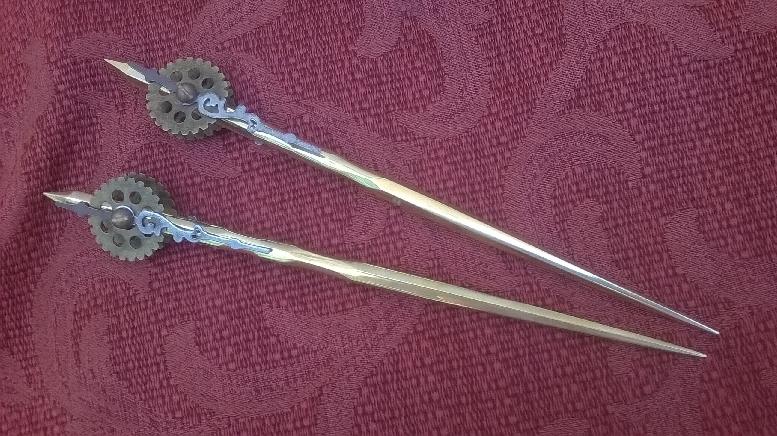 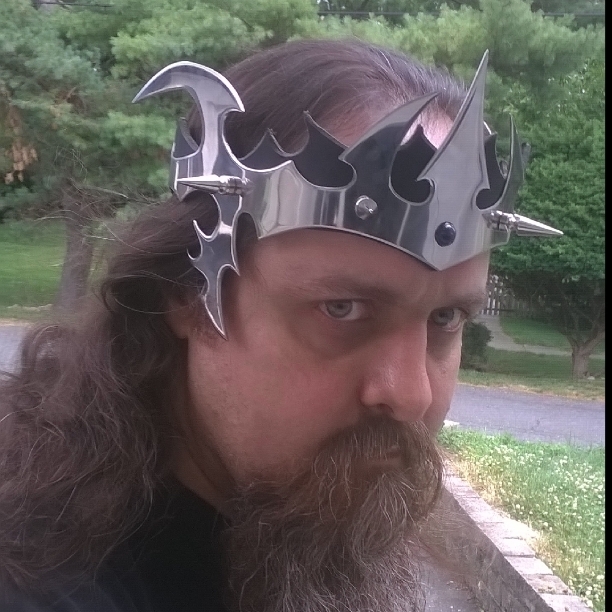 brass with gears and hands Item #HS9 $50. 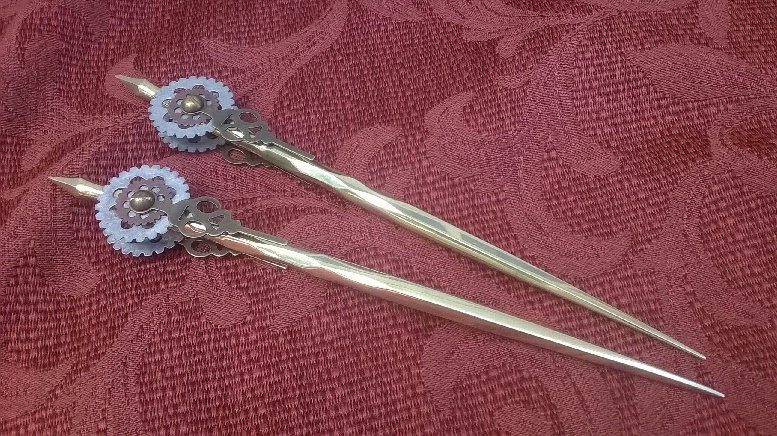 Brass with gears and hands Item #HS10 $45. 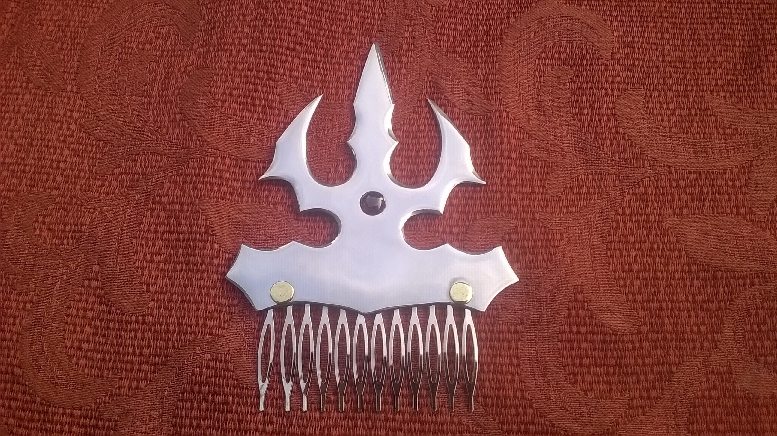 hair comb with garnet Item #HCM1 $45.